Earlier this week the European Download Update included the "Super Indie Connection Sale", a set of five download-only titles on the Wii U eShop that are available at meaty discounts on the condition that you own at least one of the games. Nintendo of America has now confirmed that the same update will be included in its region. As in Europe, the following games will be in this promotion until 13th February; you need to own or buy one of the games before the others are available at 60% off. Collin van Ginkel, of Two Tribes Publishing, has said the following about the deal. We noticed there were a lot of high-quality games by independent game developers in the Nintendo eShop. This type of special promotion helps us introduce games of other developers to our fans who may not otherwise discover all the great games available on Wii U. How many of you are tempted to dive into this deal on the Wii U eShop? Let us know in the comments below. I don't own any of the games and the only one i want is toki tori 2+... O well. Wish castle storm was in the sale also. Nice stuff. I already own three of those games, so I will be getting Giana Sis. and maybe Spin the Bottle. I hope these sell well so they keep up similar discounts. Helping indies does not hurt either. Thanks for the info @ThomasBW84! I already bought Runner2 a while ago, maybe this will give me incentive to get Giana Sisters and/or Mighty Switch Force! @ThomasBW84 Thank you, i will be on the lookout! 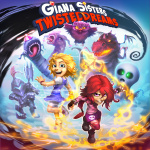 Do you by any chance know if Giana Sisters ever got that patch for off-TV play? By the way, according to Wikipedia, we're on track to get A Link to the Past (Nintendo's site confirms this) AND Ninja Gaiden today! STOKED! I have Spin the Bottle, meaning I'm eligible for this sale! Toki Tori 2+ and Runner 2 would be pointless for me because they were in the Humble Bundle. I understand that WiiU is the inferior platform for Giana Sisters. I don't care for the Mighty series. It looks like this sale is of no use to me after all. I might end up loading up on this Sale. I have Toki Tori 2 and I've been wanting to try some of the other indie games. Great opportunity now! @ThomasBW84 see!? This is why I love Nintendo Life! Thanks Thomas! Already own toki tori 2+ (amazing game everyone should look into getting) but think I'll be picking up GIana Sisters, Mighty Switch Force and Runner 2 at those prices. All games I've looked at with interest before and not missing out on some great prices! @ThomasBW84 - I know I mentioned this in the EU update but I think it deserves repeating that Spin the Bottle will be $11.99 in a couple of weeks after the lastest DL patch so its really a bargain at $3.60. Since I bought TT2+ afer it's latest update sale I'll be picking up StB. I'll have to read reviews for the rest. I already have bit Trip Runer w/ PS+ but GIana Sisters demo (on PSN) was pretty good. And for those new here - The US eShop updates at around 12 noon eastern, 9AM Pacific. @ThomasBW84 Any idea when this starts. Just got off eShop and wasn't there, I'm assuming Tuesday. I own Mighty Switch Force and Runner 2. Both are great games. I'll probably end up getting Sisters and Toki Tori 2, hell might as well get Bumpy's party too. @FiveDigitLP - I've actually looked at stuff on SEN's website but always just wait to get it on the system since I keep my CC laying next to my Gamepad. I figure it's safer there than keeping the # in anyone's system. Should be something Nintendo is thinking about though w/ all its new initiatives. I swear my Wii U light turns from red to orange for 1 minute about every hour or 2. Nothing ever changes so I guess its just checkin' in. @64supermario - 9AM Pacific, 12 noon Eastern on Thursdays, today. Yay, Runner 2, here I come! Aw I already own most of these. Great, I'll be getting Runner 2 and Giana Sisters when I re-up on money. This is good. I can pick up Giana Sisters and Bumpie's Party with this. This promotion totally reminded me that I have Runner 2. According to Nintendo Everything, we're also getting Zelda: Link to the Past today. That's good, because it's about time NA got a good VC game. We still aren't getting Mario 3, but at least we're getting a big update this week. I'm not much of these indie games though I will say that I love Cave Story! Why? idk there's just something about them that doesn't feel right to me atleast. @ThomasBW84 Thomas you have the Toki Tori+ sale price in euros but the regular price in dollars. 6 euros for toki tori 2?!?! But I live in North America. I have only stupid American money...yeah I know it's a typo. @1337man1233 yeah giana is really good, really hard too. I absolutely love the game it's a lot of fun and it's a pretty creative platformer. Giana Sisters and Runner 2 for me. Thanks Nintendo! @bezerker99 I'm shocked. You haven't earned a name drop in the credits yet? I keed! Pretty awesome price for Spin the Bottle. I don't know that I can get it played - we just don't have the right audience any more - but it's still tempting just to grab anyway at that price. Anyone who doesn't already own Toki Tori 2+ should definitely give it a shot. Great price for a fantastic game! Best part and ringing endorsement, Mahe commented that the game was good. Long time readers of NL will know Mahe as the person who ALWAYS comments that Nintendo should sell the Wii U w/o the Gamepad. I'll Spin that Bottle. I'm willing to endure the results. Actually, I've had my eye on downloading prior to the sale, anyway. Looks pretty ideal for my household. This makes it a no-brainer. The wife loved MSF on her 3DS. I may double dip on the Wii U version, as well. Good sale (own all the others). I will be taking advantage of this! @Exile20 Ah, CastleStorm just released on Wii U is well worth the $10. Especially if you plan to take advantage the shwiz local multi features, unique to Wii U version. I have Mighty Switch Force on my Wii U since mine was preowned and it had already been downloaded. Do you know if I will still be elligable for the dicount? Good deal on Giana Sisters! I'll be grabbing that and probably Spin the Bottle, too. For that price...why not? I already bought Mighty Switch Force: Hyper Drive Edition when I got my Wii U at launch, I will buy all of the other 4 though. Yeah, I've noticed my light change to orange every now and then as well. Every now and then I'll notice an update to one of my games has been installed, so I guess that's what it is. As for credit card numbers, I just use Paypal. Not sure if Sony uses them, but MS definitely does on Xbox Live and that's where I've used this type of service the most. And though it may not be useful for all consumers, when it comes to me, the benefit to the platform holder is increased sales. When I hear about a sale or a demo I want to try out, I go to the Xbox Live site and download it. Otherwise, I'm likely to forget when I get home and miss the deal. @AJWolfTill Should be. If you have a game pre-downloaded, that likely means the eShop account wasn't wiped before being sold. It's effectively your account now. A great sale. Unfortunately, I already have all 5 of these games; I bought most of them on sale, but not for prices this good. I only own Runner, so now I have no excuse to not own Toki Tori 2. Great idea, IMO. I hope this becomes a regular thing. @ThomasBW84 Good point, not everyone reads the articles before replying. Having picked up a few of these already I'm looking forward to the Giana Sisters discount. I tried the PS3 version and it was very well done. I'd love to see Nintendo make a Wii U Bundle that includes Indie games like what Sony's doing with the Vita. @rjejr: Thanks for the update about Spin the Bottle. I will most likely pick it up at this price along with a couple others. I didn't read the condition to be eligible for the discounted price... I just thought it was a normal discount. If I download one of the games for full price will I still be eligible or am I too late? Nice! I have mighty switch force! I'm getting Runner, Gianna sisters and toki tori. Darn, shouldn't have gotten Giana Sisters on the past sale, this one is much better. Well, that is life. Got TokiTori+ on another sale too, bought Runner 2 day one on my PS3 and with Spin the Bottle completely out of the question, I only have to consider MSFHDE... wait, I have the original on my 3DS... silly sale with nothing I want. Damn, I just bought Giana Sisters around Christmas time when it was on sale for $10. I hope they fix the sound bug for the gamepad and add the DLC. @Specters Well, there were rumblings throughout the past week. Once it was confirmed for EU, on Monday, the writing was on the wall. Always check the EU eShop updates to catch an early whiff of a potential sale. Saved my bacon several times. Although, maybe you can take solace in supporting a devoted Wii U indie developer who made an incredibly unique exclusive eShop game... Maybe? Giana is pretty cool. Be warned that although it's beautiful, the framerate isn't terribly smooth. Could definitely be more pretty in motion, a la Rayman. And they haven't patched in the fact that there's no gamepad audio. Supposedly they were working on this last September but it never got done. Got Spin the Bottle, Mighty Switch Force and Giana Sisters. Haven't played Spin the Bottle yet (I was at home alone, geez!) but the other two are pretty fun. I didn't have any of these games already so I'm sort of regretting not getting Mighty Switch Force on sale for $5 or whatever earlier. Oh well. KnapNok gets some extra cash from me. @bofis Now you can get another game at a great price too! I am very interested in a lot of these games especially Giana Sisters. I owned the original game on my Commodore 64 back in the early 90s and loved it. Very excited to get Giana Sisters and bumpies party! Already got Giana Sisters and Toki Tori. The other three I'm not interested in. I am so excited for this sale! I already own runner 2, tori tori 2, and might switch force. 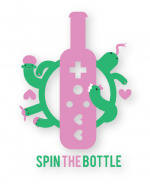 I have been very interested to try spin the bottle and giana sisters, but the high price made me skittish. Now this is a great bargain! @Twilight_Crow Hey! want to be friends?